Located just outside of Mount Vernon, Washington, Dwayne Lane's Skagit Subaru is a leading Subaru dealership that's proud to provide Washington drivers with a wide selection of Subaru maintenance and auto repair services. 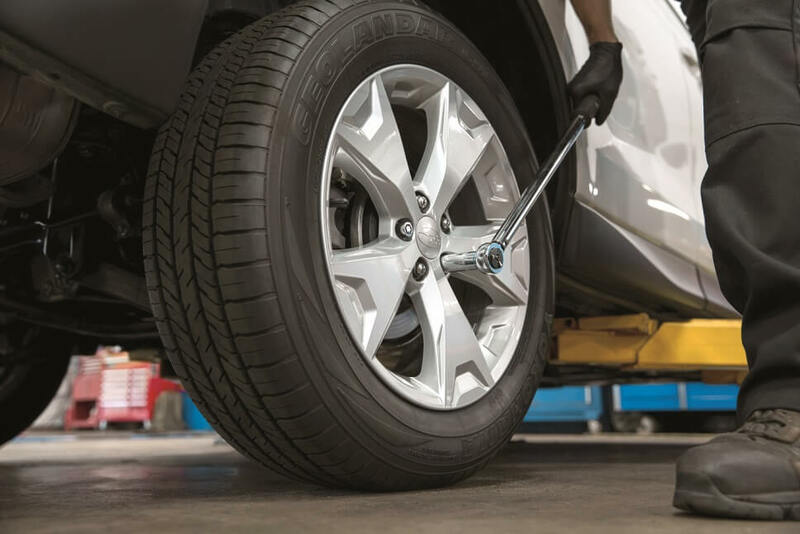 If it's been a while since you've had a tire rotation, you can count on Dwayne Lane's Skagit Subaru to have you back on the road in a flash with our Subaru tire rotation service. Being proactive with your tire rotations has a multitude of benefits, including significantly extending the lifespan of your tires. No matter the vehicle or driving conditions, your front tires naturally experience a greater degree of mechanical wear-and-tear due to braking and steering. Routine tire rotations are helpful in balancing this uneven treadwear, not only sparing you from premature tire replacement, but also enhancing your vehicle's fuel economy and ride quality. 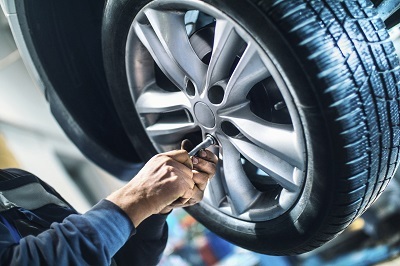 Regular tire rotations can also save you money by ensuring full warranty coverage, as many tire manufacturers require routine tire rotations for warranty maintenance. For Subaru vehicles, it's recommended to rotate your tires every 7,500 miles or 7.5 months (whichever comes first). Our certified Subaru service center makes it easy to stay on top of your auto maintenance, always going above and beyond to get you back on the road in a timely fashion with your vehicle running like new. Next time your vehicle is due for a tire rotation, look no further than Dwayne Lane's Skagit Subaru just outside of Mount Vernon, WA! At Dwayne Lane's Skagit Subaru, we'll treat you like family from the moment you walk through the door. We strive for a higher standard, and it shows in the quality of our Subaru service. From our certified Subaru mechanics to our OEM Subaru parts and state-of-the-art diagnostic tools, we're committed to taking your Subaru service experience to the next level. As a certified Subaru dealer, we're proud to have provided auto service and high-quality vehicles for thousands of drivers, near Mount Vernon, WA: we hope to have the opportunity to serve you next! While there's no doubt that tire rotations serve an important role in maintaining your vehicle, our Subaru services extend well beyond that. Our certified Subaru mechanics offer everything from oil changes and transmission repairs to brake service and engine tune-ups. If you've been unfortunate enough to have a recent accident, we also offer collision repairs at our body shop. No matter what you need, Dwayne Lane's Skagit Subaru has you covered. Call Dwayne Lane's Skagit Subaru today to learn more about our Subaru service, inquire about our Subaru parts, or schedule an auto service appointment. Alternatively, you can use our online scheduling tool to book an appointment, or visit us in person at our Subaru service center Mount Vernon, WA to speak with an expert face-to-face! We hope to see you soon.